Talkwalkars in one of the most popular and largest chain of health centers in India. Talkwalkars Better Value Fitness Limited has more than 100 well-equipped and ultramodern branches across 50 cities in India. 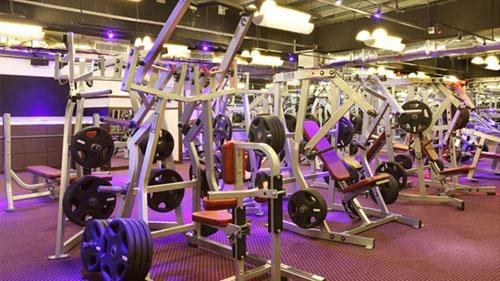 They cater to almost 1,00,000 members by offering them with amazing platform to work out and stay fit along with offering them with benefits related with fitness like personalized supervision, result-focused approach and on-going updates in facilities. They are known for the professional approach with a hint of personalized touch which makes them the best in the industry. This international chain of Gold’s Gym International Inc. was started by Joe Gold in California. It has created a reputed name and strong presence in India by establishing well-equipped centers in metropolitan cities like Bangalore, Pune and New Delhi along with various other cities and the number of health clubs are on a constant rise. This wonderful chain offers an amazing array of proficient services which include variety of latest equipments for exercising, interactive group exercise sessions and personal supervision to help clients perform better. It is surely one of the most interesting experiences to enroll and enjoy high fitness levels. With over 540 fitness clubs located in different parts of the world, Fitness First is one of the largest privately owned health clubs in the world which has been offering its elite fitness services across the globe. With over 1.3 million members located in around 18 different countries, this is surely the most widely spread chain of fitness clubs. In India, Fitness First India Pvt. Ltd. has proficient fitness clubs located in New Delhi, Bangalore and Mumbai. They promise to provide their clients with the most vibrant and entertaining ambiance to make sure that every fitness session is interesting and motivating. Fitness One is known for its dedication and commitment to fitness. It is one of the most popular gyms in India which was set up in September, 2004 in Chennai and since then there has been no looking back. Their prime focus has always been on reshaping the future of fitness. From Fitness Training to Nutrition Occupational Therapy, Physiotherapy and Sports Training; there is so much to avail under one roof. This chain of fitness club has transformed the way to workout in all the major cities of South India. This center is primarily located in Pune, Maharashtra and came with its first branch in 1999. At present, they have seven centers scattered at the most accessible and convenient locations in Pune and they plan to gradually increase in number. They are known for their hot locations with professionally trained staff and high-quality equipments. They promise to make exercising sessions more interesting by promising wonderful services and always motivating their clients to do better. Presently, they have over 15,000 members who enjoy their dedication in offering the best services to their clients. Ozone Spa Pvt. Ltd., commonly known as O3 is the first largest elite boutique fitness, health and spa center which was incorporated in November, 2012. Their complete focus is on keeping the fitness activities eco-friendly and their logo focuses on strong protection of human race. The fitness club has been honored with Indra Gandhi Priyadarshini Awards for their proficient efforts in running a chain of eco-friendly health and fitness clubs in India. Also, this is the first chain of fitness health clubs which has been awarded with quality certifications like ISO-9001-2000 and ISO-14001. The USP of this health chain lies in being eco-friendly and also making fitness luxurious. This is a wonderful health club chain dedicated to the elite segment which doesn’t mind spending a little extra on luxury. Vivafit is a Portuguese gym chain which has opened its chain of fitness gyms in India under the franchisee of Rose Lifestyle. The very famous and popular health guru and coach of India, Mickey Mehta is the brand ambassador of Rose Lifestyle.This is a wonderful chain of gym which is famous for keeping its gym equipments of high quality standards with impeccable safety. Working out on these latest and effective equipments promise astonishing results. All you need to do is invest 17.5 minutes in exercising on a regular basis and you will be amazed with wonderful results which are just the triple of your regular workouts. Fluid-the Fitness Lounge was established in 2004 to bring world-class fitness experience to India. They aim at providing a complete fitness package solution to all their clients. The fitness chain synergizes the benefits of technology and techniques to make your body fitter. From latest gym equipments to world class spa techniques, there is everything that a good fitness center must offer. They are truly the most proficient and professional fitness solution providers which are aiming to expand across different cities in India. There are five different segments of this fitness club chain which caters to different needs of clients by means of various methods. For instance, Fluid-The Fitness Religion focuses on Aerobics, Ayurveda and Spa treatments. This is the fastest growing fitness club in India which is expanding at an amazing pace. Originally, 24 Hour Fitness is an American company which was set up in 1983 in order to keep people physically fit and now it has evolved into a chain of fitness clubs. With over 425 clubs across different parts of the world with 1800+ employees, this club has been offering impeccable services which include efficient trainers who promise effective results. There is a lot more than just gym to this fitness center which includes spa and pools, steam room, basket ball courts, kid’s club, free weights and various other facilities which allure more and more fitness freaks to become a member of this wonderful fitness club. Snap Fitness was founded by Peter Taunton in March 2003 who possesses a rich experience of almost 25 years in the fitness industry. This club has been expanding since its inception and has evolved to be one of the fastest growing fitness chains in the world. It has its presence in USA, Mexico, Australia, India and Canada. With over 2200 clubs in 1450 different locations in these different countries, this wonderful chain has been growing at a fast pace. The main highlight of this amazing club is the convenience which it offers to all its members by letting them gym as per their convenience. The 24/7 open format of the club focuses on letting you enjoy workout sessions as per your ease with greater affordability. Choose from these top class fitness centers in India and enroll yourself for their dedicated programs tuned to keep your body in shape. So starting working out at the most well-equipped fitness clubs which gets you maximum benefits and stay fit.